Rozay to beat B.O.B when they drop same day? 2013 has been one of the most exciting years in hip hop when we saw competition being brought back to the game thanks to the plentiful album releases by major players such as Drake, J. Cole, Wale, Jay-Z, Eminem, Kanye West, Big Sean and others. There are two more albums to lookout for before the year ends. To carry on the spirit of competition, these albums drop on the same day: 17 December! B.o.B’s sound has changed ever since we came to know him three years ago. He blasted the charts with “Airplanes” and “Nothing on You”, off The Adventures of Bobby Ray. Strange Clouds, his 2012 follow up album didn’t deviate that much from the original formula of its predecessor, but his third offering Underground Luxury is a different ball game with Bobby Ray aiming to introduce his different, grittier side to us. “Underground Luxury is kinda like a contrasting title and the reason for that is because on this album, I plan on introducing to people the side of me that they didn’t see on the first album. I didn’t really show my underground side and I didn’t really tell my story as much as vividly as I’m telling it now”, the Atlanta rapper told Rolling Stone. We’ve already gotten the taste of the album through four singles, namely “We Still in This B*tch”, “Headband”, “All I Want”, and the new “Throwback”. The features on Underground Luxury include Chris Brown, Future, 2 Chainz, T.I., Juicy J and Priscilla Renea. Rozay’s previous album was one of those projects that receive tremendous hype prior to their release but unfortunately fail to live up to that hype. It will, therefore, be interesting to see if he will redeem himself with Mastermind. 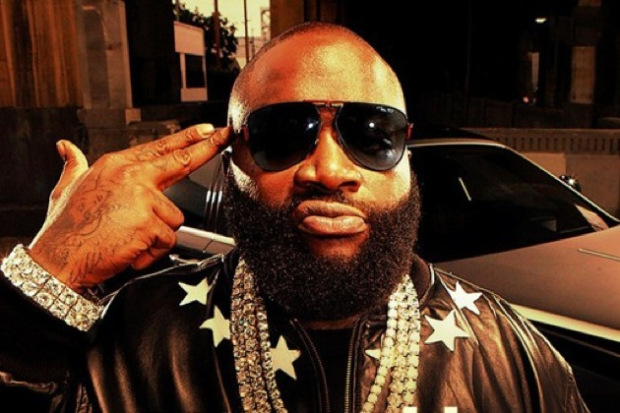 Ross has kept details regarding his album under the carpet, having only released two singles: “No Games”, featuring Future, and “The Devil Is a Lie”, which features Jay- Z (who has been appearing on all Rick Ross’ albums since 2006) except for Deeper than Rap in 2009.If their latest collaboration “FuckWithMeYouKnowIGotIt” is anything to go by, then it’ll be a landslide victory for the Teflon Don when it comes to first week sales compared to that of B.O.B. But we’ll let the numbers do the talking rather and bring you the latest by Christmas on this story.